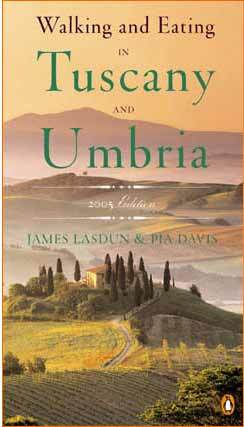 James Lasdun and Pia Davis offer forty walks through the spectacular countryside of Tuscany and Umbria and now Provence. Arranged for the utmost flexibility—from half-day outings easily accessible from a city base to day walks that can be linked together in a series—the itineraries combine the pleasures of walking and eating with some of the most enchanting landscapes in the world. Calling at medieval hill towns, secluded Benedictine abbeys, spring-fed pools, and Etruscan ruins, Walking and Eating in Tuscany and Umbria enables travelers to discover Italy’s finest delights in a singularly rewarding way. Fully updated for 2005—the classic guide to the dazzling landscapes and hidden delights of two of Italy’s most tantalizing provinces. Over the past nine years many people have written to us about their experiences with the original edition of Walking and Eating in Tuscany and Umbria, often including very useful updated information. We in turn passed along this information to other readers who contacted us before they left on their trip, asking if we had any updates. This exchange of information seemed so helpful we thought we would make a web site to facilitate updating. We are very grateful to any readers who leave updates; most particularly to the walk routes themselves, but also to our restaurant and accommodations listings. It is a great pleasure to read accounts of your experiences. Experience for yourself the rhythms of the land and its people, and work up the kind of appetite that will enable to appreciate the exceptional food and wine that await you at each destination. From the incomparable vineyards of Gigondas to unspoiled medieval villages in the Luberon Mountains, you will taste the authentic flavors of Provence. 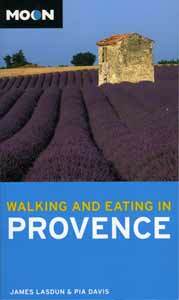 Now with Walking and Eating in Provence James Lasdun and Pia Davis lead you on walks through France’s classic food and wine region.